The West Side of Columbus his home to several unique ice cream shops! I love ice cream!  So of course I have an ongoing list of ice cream shops to try around Columbus! 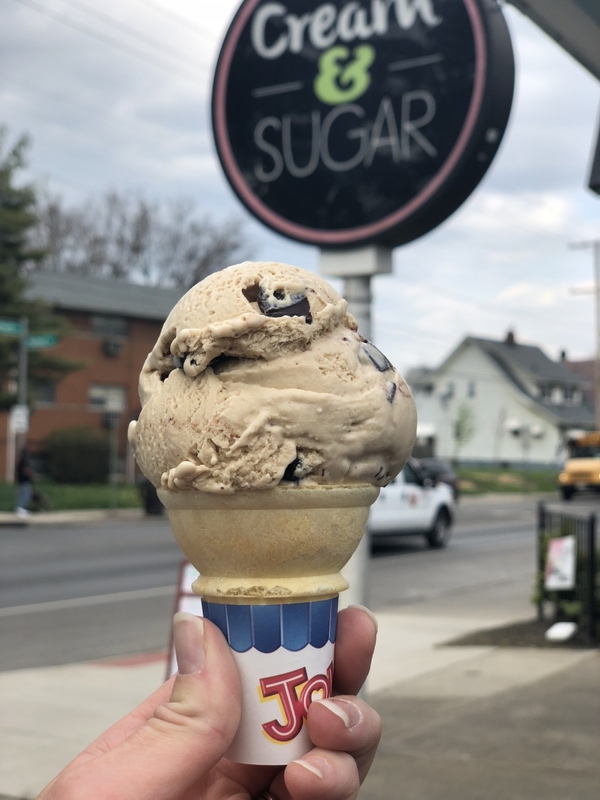 When we moved to Westgate, we discovered that the West Side of Columbus is full of hidden gems when it comes to ice cream! Lucky me! Put these on your summer bucket list ASAP! Any place that has an ice cream flavor called Exhausted Parent earns my business! 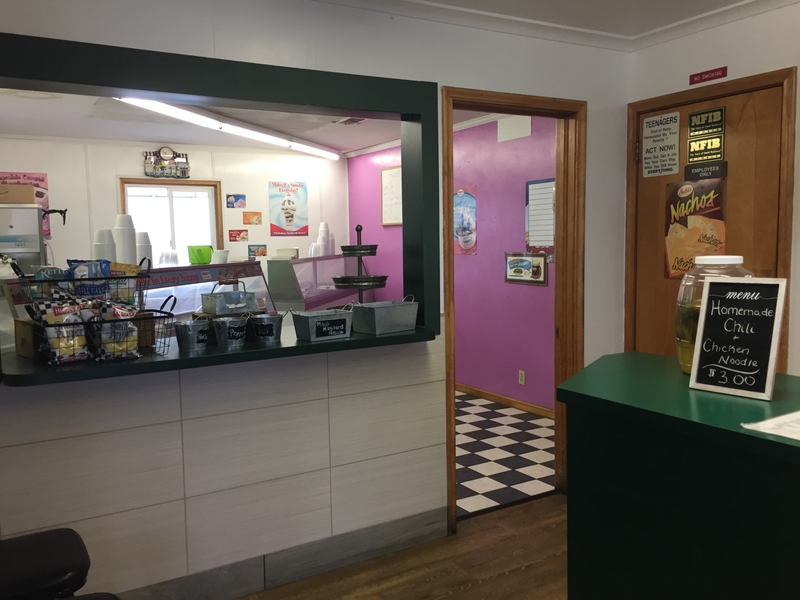 Cream & Sugar on Sullivant Ave. is open every day from 2:00 PM – 9:00 PM during the spring and summer seasons. This is a walk-up shop with seating outside. You can also catch them at the Westgate Farmer’s Market serving up coffee, ice cream and coffee floats made with Stauf’s Coffee! 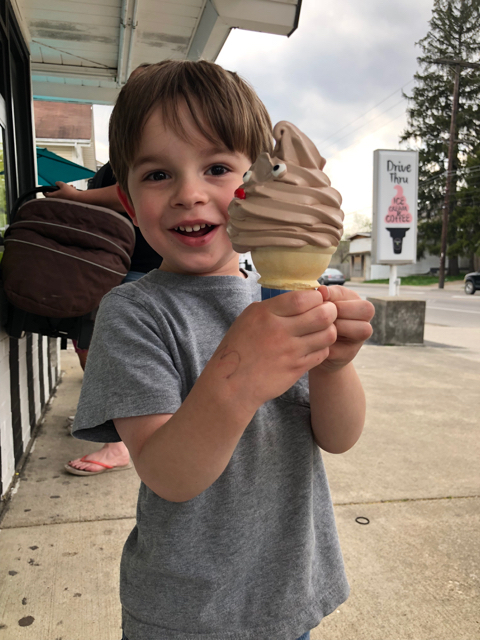 Kids Cones are just $1! Cream & Sugar makes a very creamy ice cream. I recommend kids get it in a bowl rather than a cone because its texture is so creamy that it needs more structure to hold up! Choose between soft serve and hand dipped cone options as well as a variety of other treats! This place is a gem for multiple reasons. 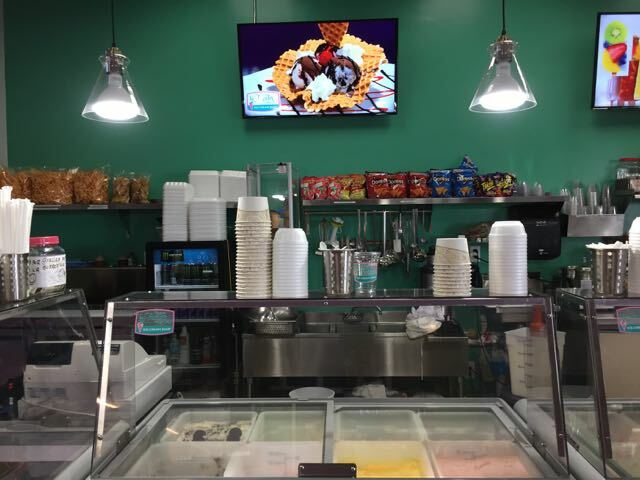 The shop, tucked away off of Georgesville Rd., houses a Mexican grocery store, a full-sized restaurant and an ice cream shop! 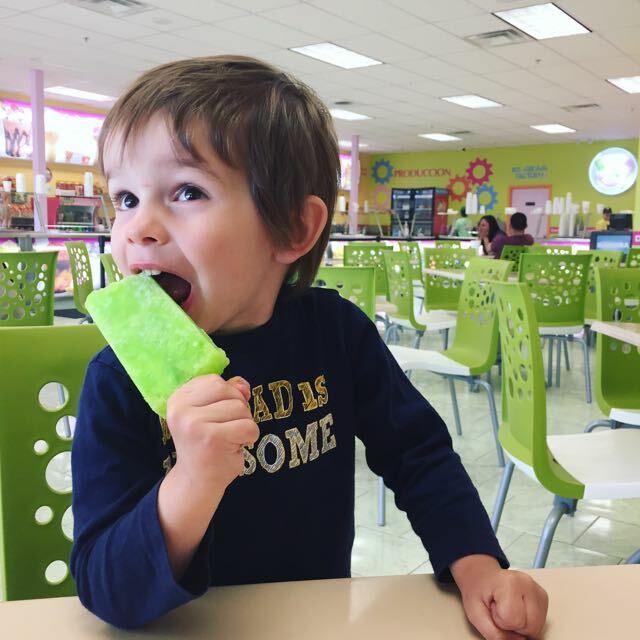 When it comes to ice cream, you can choose between hand dipped flavors, sundaes and Mexican paletas (popsicles). 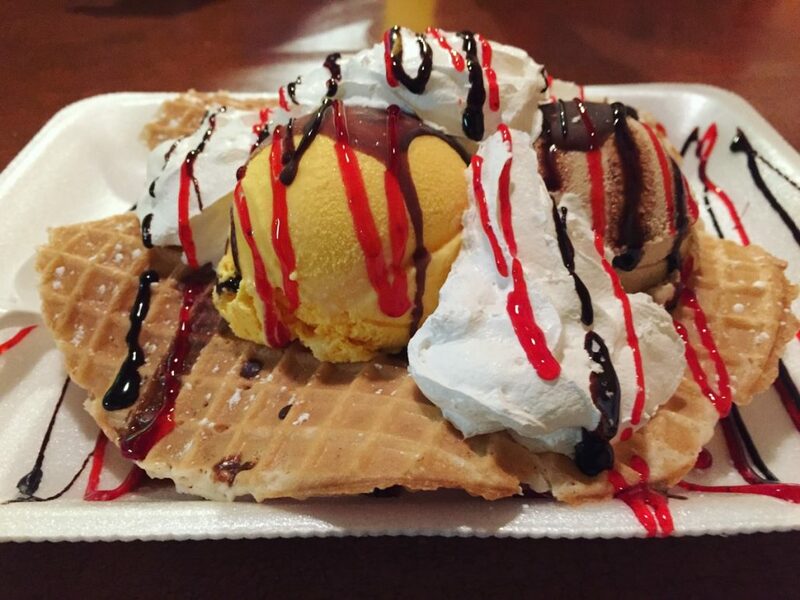 Pictured here is the Tres Marias – three flavors of ice cream with strawberry and chocolate sauce plus whipped cream in a waffle bowl! You can also buy aguas frescas – fresh fruit drinks in the ice cream shop! This bright and colorful place is one of our favorites! 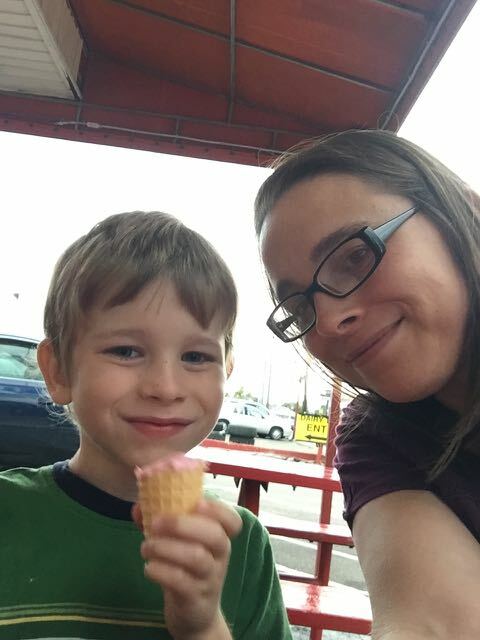 My whole family loves the paletas here and there are also lots of flavors of hand dipped ice cream to choose from! Dulce Vida West offers a lot of indoor seating and some other food options as well! 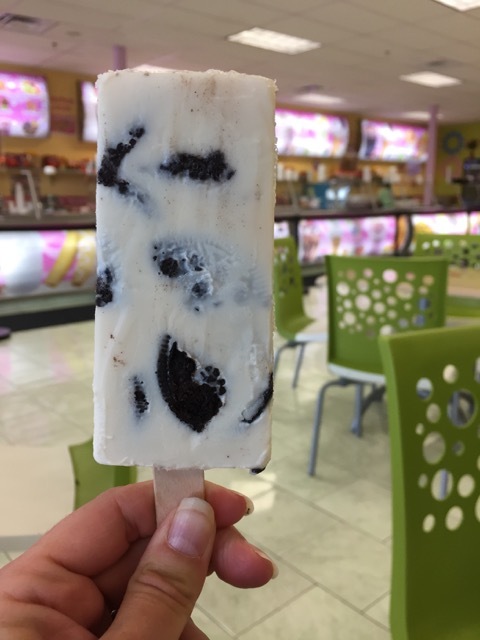 My kids are always choosing the most brightly colored paleta but I’m a sucker for the Oreo flavor! I love Hilltop Dairy Twist because it’s your classic, no frills dariette. 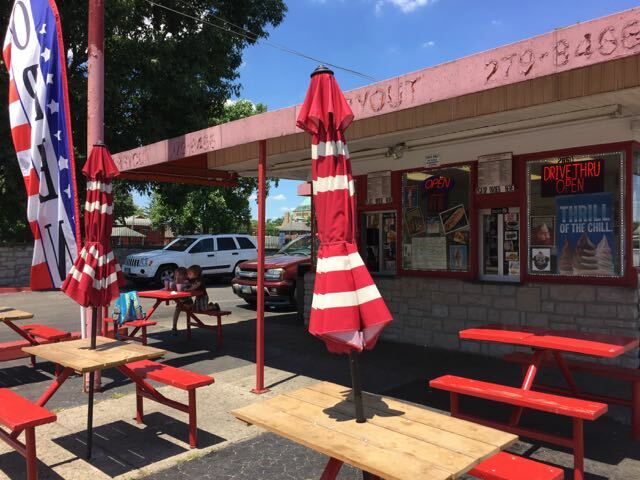 This was the kind of thing I grew up with in Wayne County, Ohio – locally owned dariettes serving soft serve, flurries and sundaes plus a whole menu of food options! I couldn’t find anything like this in Columbus until I drove past Hilltop Dairy Twist one day while working! The sign outside boasted 40 flavors of soft serve and I knew I had to check it out! 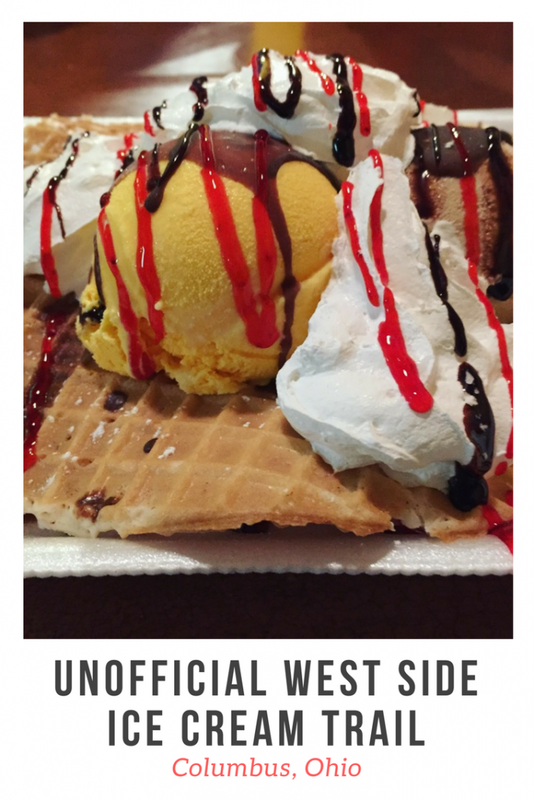 Just on the edge of Westgate, I am thrilled to be able to make this an affordable go-to ice cream spot! This is a walk up spot with outdoor seating. Cash only! 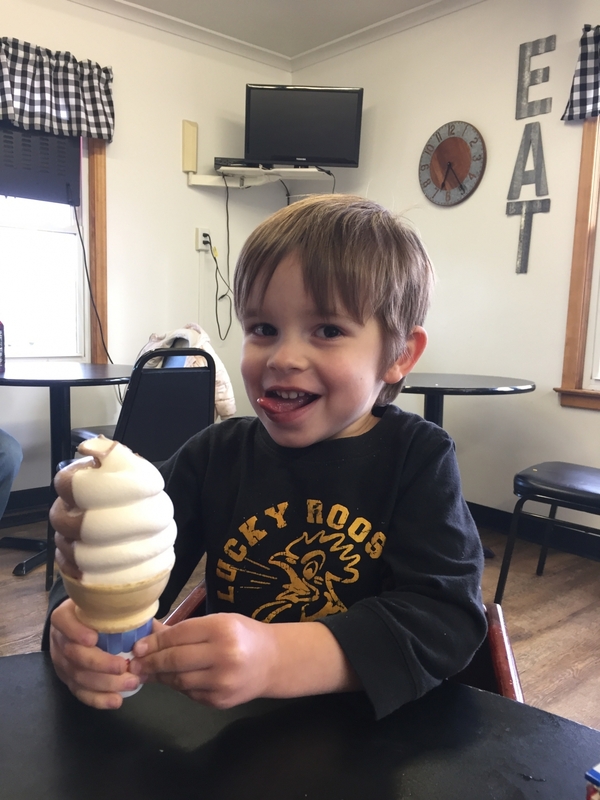 You might not guess that Tony’s Coneys serves ice cream, but inside the restaurant, there is a separate room just for the ice cream shop! Not only does Tony’s serve, well, coneys, they have a pretty extensive menu of food! There is indoor and outdoor seating and a walk up option. Soft serve cones for kids are $1 and I HIGHLY recommend the chocolate malt milkshake! Yum! Le Dolce Vida is terrific! Very very fruity flavor. And not expensive. Better than the same type of shop on Sawmill north of Bethel. Besides ice cream and dairy treats, Dairy Twist on Sullivant has great Real Food. They have the best Pork Tenderloin I have ever had ANYwhere! And Great mixed flavor combo twists. I have to try one of those chocolate malts. You can’t get them at the big chains.